Deborah Charnes is a marketing communications specialist with more than 30 years’ experience assisting clients in the medical, mental health and fitness sectors. For 14 years, she served as Managing Director of Public Relations at Bromley Communications, formerly the largest marketing company in San Antonio, Texas. Under her leadership, the Bromley PR department represented a large number of major multi-nationals: Astra Zeneca, Pfizer, Lilly and Warner Lambert—and scores of other clients. Her assignments included large-scale health/fitness/nutrition campaigns, and smaller public information projects, including several for the San Antonio Department of Metro Health. Deborah is an experienced guest lecturer at many universities, and a contributing author to two public relations university textbooks. She served as a judge of the International Public Relations Association’s Golden World Awards for many years. Below are snapshots of a cross selection of her contributions to improved health and wellbeing of people of all ages nationwide. At the time of the campaign, 3.5 million Hispanics reported having asthma. The makers of Pulmicort enlisted Deborah and her team to coordinate an interactive bus tour to educate families on asthma preparedness and preventive measures. The tour participated in major Hispanic community events across the country. At the same time, Deborah was part of the PR team managing Arimidex, an early breast cancer treatment drug. She researched and developed listings of potential allied partners, provided recommendations for the web site, and ultimately spearheaded an interactive tour to educate Hispanic women about breast cancer prevention and detection. 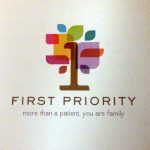 When more than a dozen independent community health centers were facing fierce competition, Deborah’s marketing consultancy team suggested that they collectivize to share resources and attain a greater market share. A branded network was designed to create greater strength and combined resources for the individual centers. Deborah promoted several media events in Houston. She also conducted message training and led brainstorming sessions with representatives from each of the individual centers to set them on the track to on-target messaging. When La Fe received a two-year grant from the AARP Foundation to study food insecurities among Hispanic seniors in San Antonio, Deborah joined the team as PR Counsel. Deborah ghost wrote countless op-ed articles, placed them in publications in English and Spanish, coordinated several special events, and provided ongoing marketing support to the Center. Additionally, she led focus groups and conducted message training sessions with the Center’s health care outreach team. One of the communication’s goals she helped them achieve was to educate eligible seniors of vital services, including food banks and the SNAP program. Deborah’s marketing team was hired to promote Legacy’s Hospice, Home Health, Primary Home Care, Community Based Alternatives, Private Duty, Rehabilitation and Pre-Operative Care services in the Rio Grande Valley. 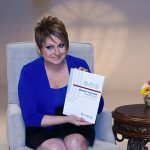 She conducted a full-day media training session with management, which included message storming to promote the wide range of services provided by Legacy Home Health Care’s 5,000 employees throughout South Texas. When NIMH made its first major exploratory visit to South Texas, Deborah was the lead agency PR Counsel. The NIMH team sought to reach as many people as possible to talk about mental health challenges. She managed a media tour and town hall at Texas A&M International University regarding adult and child mental health needs. The target audience included key influencer groups such as professionals from the fields of education, mental health, primary medical care and community outreach centers throughout South Texas. A similar forum for military and general medical physicians and clinicians, various care providers, and the research community was conducted in San Antonio. Virtually every local media outlet covered the events. Deborah represented the National Pork Board for many years. Primary functions included working with nutritionists to communicate healthy meal options using “the other white meat.” Deborah collaborated with health experts and chefs to create recipes that were low in fat, and high in fiber, protein and minerals. 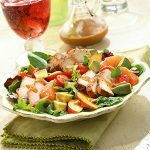 Among the key messages relayed in 95 percent of the media reports were the USDA findings of the health attributes of eating lean pork tenderloin. Best food prep tips, such as grilling and marinade, versus frying, were also part of the messaging. Deborah toured the country overseeing NPB spokespeople who hosted healthy food demos at dozens of community events and media briefings. When the Swine Flu hit hard in Texas, there was an onslaught of fear. People didn’t understand how the flu spread, and worse, some thought it was caught by eating pork. Deborah managed a multi-media public information outreach to educate the community on how to prevent the spread of H1N1. Deborah currently serves as marketing and communications counsel for the former CEO, COO and CFO of Christus Health, the nonprofit health system comprising 350 facilities. Deborah provides guidance in: social media, web development, copywriting, marketing and media relations to these visionary experts now at Royer Maddox Herron Advisors. Deborah’s team helped to launch www.FitCitySa.org. 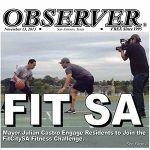 The project was managed by the Mayor’s Fitness Council and SA2020, and included: logo development, branding, design of marketing materials, launch events and promotions. The primary goal was to build online traffic, engage more people, and ultimately, get the community committed to better health and nutrition. Deborah managed all public relations and broadcast copy writing. Additionally, she planned and negotiated traditional and social media ad buys. Consequently, FitCitySA.com almost doubled its audience and user time online. Facebook “likes” increased significantly. For nearly ten years, Deborah’s been a contributing writer on Mysa.com, Chron.com, Yoganonymous.com, Wanderlust.com, BaldYogi.com, ElephantJournal, Latinalista.net, Natural Awakenings and more. She writes about diet, nutrition, physical and emotional wellbeing. Deborah was hired by Susan G. Komen for the Cure®, the world’s leading breast cancer organization, to manage the PR end of a new campaign to improve cancer screening, education and outreach in the Latina community, where breast cancer is the leading cause of cancer death. The bilingual efforts included multiple media and touch points, including TV and print public service announcements, digital engagement, media partnerships and alliances with national non-profits and women’s organizations on both a national and local level. Miami is a gateway to and from Latin America. The Sylvester Cancer Clinic, South Florida’s leader in cancer diagnosis and state-of-the-art treatments, wanted to establish itself as the “go-to” treatment center for people in Latin America. Deborah attended a cancer conference in Quito, Ecuador and managed her client’s media relations, in advance and on-site. She booked numerous interviews for the Sylvester spokesperson visiting from Miami, including a front-page feature. Yoga competitions originated in India hundreds of years ago, and are still being conducted there today. For the past ten years, United States Yoga Federation has honored some of the most disciplined, skilled and dedicated yoga practitioners in the United States. When the annual competition came to San Antonio, Deborah was the Federation’s lead marketing and PR counsel. She managed all ad buys, partnerships and media relations. Her efforts resulted in features and briefs in approximately 75 outlets. Deborah was the PR counsel for many brands at United Health Care for five years. Among the most memorable of the campaigns was a national program attempting to unravel the confusion surrounding eligibility for Medicare. Approximately 2.5 million Hispanic seniors over the age of 65 are eligible for Medicare in the U.S. UHC produced a Medicare Made Clear video primer targeting Hispanic seniors. The first-of-its-kind Spanish-language video featured award-winning journalist Maria Antonieta Collins. To promote the free DVD, Collins served as spokesperson at senior centers across the U.S.
She was part of multiple Video and Audio News Releases and Satellite Media Tours. She was a forceful speaker at community and media events—sharing her personal experiences and the stressing the importance of seniors understanding their rights. Deborah collaborated on Spanish-language public awareness campaigns for HPV, colorectal and cervical cancers. Deborah provided copywriting and media relations for this San Antonio, Texas-based non profit. She also guided the client’s media buy to include bus shelters and billboards in the primary feeder communities.